PRP PLASMA LIFTS – strengthens the effects of Fraxel Dual procedures, improves the outcome. We recommend do it! Fraxel Dual to enhance the effect of fractional renewal, to relax fine wrinkles, to intensify skin tightening, we offer the combined FRAKTOX procedure, a laser rejuvenation + botulinum toxin when the product is distributed with a special “flood” technique (non-needle). The price of FRAKTOX depends on the area of ​​the face where the preparation will be distributed between 100-200 EUR. 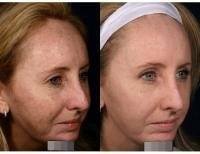 The fractional skin renewal – new possibilities of a new rejuvenation! Today, ERA ESTHETIC Laser Dermatology Clinic offers to carry out a skin rejuvenation procedure by the most recent Fraxel re:Store DUAL 1550/1927 nm laser (manufacturer – Solta Medical, Inc., USA). This is a double-action and double-effect laser, rejuvenating the skin and removing skin blemishes. which do not deal with dermis layers, are not efficient in removing wrinkles, scars, stretch marks and other skin lesions. The new Fraxel re:Store Dual laser has made it possible to renew all layers of the skin, responsible for color, firmness and structural characteristics, as well as to remove pronounced traces of ageing without surgical intervention. Fraxel Dual 1550/1927 provides new opportunities – not only a nice aesthetic, but also has healing powers: due to the procedures, new healthy cells produce, skin becomes youthful again. 1550 nm laser wave affects dermis to a depth of up to 1.6 mm and promotes natural production of collagen and elastin, new fiber network forms, its density is restored – and this is the basis of the deep skin layer. As a result of this process, skin firmness and elasticity increases; skin texture, lines, wrinkles smooth and correction of scars takes place. 1927 nm laser wave affects the upper epidermal layer to a depth of 0.3 mm, improving the exterior of the skin by promoting resurfacing and structural renewal of the surface layer, smoothing color of the skin, removing pigmentation. How is fractional skin renewal by Fraxel laser different from other rejuvenation procedures? In aesthetic medicine two types of lasers are distinguished: ablative and non-ablative. Ablative lasers emit a high temperature, during which the tissues are vaporized, entire top layer of skin is removed, wound surface is opened. Though sufficient results are achieved, this methodology is characterized by long-term post procedural period and pronounced side effects, and, therefore, it is now rarely used. Non-ablative lasers do not cause any of these side effects. They have little effect in terms of achieving structural changes in the skin, such as correction of wrinkles, stretch marks, scars and skin rejuvenation. During Fraxel laser treatment procedure, not the entire skin surface is heated, but only its individual micro fractions. Microscopic laser columns renew separate parts of the skin, without damaging the surrounding tissue. Therefore, swifter skin healing and recovery is promoted, and post procedural period is minimal and skin-friendly. This allows reach results of ablative laser performance with security inherent to non-ablative lasers. Fraxel is the first and still leading inventor of the fractional photothermolysis. The laser has a patented performance technology, which yields the most effective results – therefore, it is called a gold standard in fractional skin renewal. Procedures carried out by it are among the most popular in the World and today there is a possibility to perform them using the new Fraxel re:Store DUAL laser. Procedures carried out by the laser are recommended from the age of 30 or when needed for various structural changes of the skin. What are the benefits of the new Fraxel re:Store Dual 1550/1927? Fraxel Dual laser is the only laser, emitting the 1927 nm Thulium wave, which is a wavelength created on a new principle; the 1927 nm wave addition to the laser leads to a higher percentage of treatment-level overlay. Thus, performing fewer treatment procedures and using less energy more effective results are achieved – usually 3 treatment procedures are performed instead of 4. Shorter treatment time. Improved scanner design and larger coverage of treatment area allows speeding up the procedures by 25%; it is convenient to perform them even on large skin areas. Our clinic employs original integrated Zimmer Cooling System, which directly cools the area being affected, thus, ensuring maximum comfort for patients even when performing procedures in such sensitive areas like face, breast, neck, wrists or eyelids. How does fractional skin renewal by Fraxel re:Store Dual 1550/1927 laser is carried out? This system has an integrated Smart Scanning. First, the skin is scanned and the appropriate parameters of the patented technology Fraxel Dual laser treatment are carefully selected. The unit focuses the laser beam and the microscopic laser light columns, perpendicular to the surface of the skin, penetrate into the skin to remove old cells. These epidermis and dermis columns, called therapeutic microthermal1 zones (MTZ), are formed in quantities of several thousand units, depending on the target skin area to be affected. These zones are surrounded by healthy, intact skin areas – healthy cells next to it begin to divide and occupy the empty spaces. Thus, rapid healing is promoted using natural skin renewal processes and structural formation of new, healthy cells both in surface and deep layers of skin is stimulated. Production of younger, healthier skin is initiated and fundamental regeneration of the old, damaged tissue. The fractional skin renewal takes place in sections, i.e., micro-fractions. 20-35% of the skin is treated in the course of one procedure. This way, by series of procedures, the entire skin is rejuvenated. 1 Microthermal zones are micro-channels of the skin, of diameter approximately one tenth of a hair. 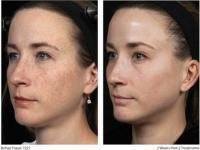 What skin conditions are treated using Fraxel re:Store Dual Laser? In ageing skin case, this is a perfect way to rejuvenate face and entire body skin; restore its natural color. Lines, especially vertical, which has formed around eyes, eyebrows, lips and in areas of forehead, cheeks, etc. Various structural changes in epidermis and dermis. Various changes in skin pigmentation: lentigo, freckles, sun-related, age spots, melasma, actinic keratosis. All types of scars: caused by the acne, surgical, burn scars, atrophic, hypertrophic and other. What is the 1927 nm Thulium wave intended for? The 1927 nm Thulium laser wave has been created for renewal of the surface layers of skin and correction of superficial skin lesions. It is a leading technology for treatment of various hyperpigmentation problems, including those difficult to treat – melasma, sun-induced premature photo-ageing, damaged skin, removal of actinic keratosis. Fraxel re:Store Dual is suitable for all skin and pigmentation types. The laser beam enters the layer of the skin where the pigment is localized and renews / removes it. As soon as in 7 to 10 days after the first treatment, significant pigment clean up is visible. 1 or 2 treatments often prove sufficient to remove pigmentation. What is the impact of fractional skin renewal by Fraxel re:Store Dual laser? Fraxel Dual treatment results are immediate and gradually progressing – they are visible both immediately and after a few months. Immediately after the procedure skin renewal and transformation processes actively take place. The effect is intense, so it is visible immediately after the procedure – the skin becomes firmer, fine lines are smoothing. On average, in 1-3 weeks after the procedure, the skin in the treated area becomes softer, smoother, more elastic, improved in tone. Optimal results and noticeable rejuvenation of skin become apparent in 2-3 months, and Fraxel re:Store Dual effect lasts for at least half a year after the procedure. Since natural production of collagen is stimulated and natural regeneration processes take place in deep tissue layers, the structural changes in skin are getting even better over time (3-6 months). During this time, new collagen and elastin replace the damaged tissue and, thus, highlight the overall treatment result. After a full course of treatment, the skin acquires natural color, becomes smooth and even deep lines disappear. The renewal process is visually observable as rejuvenated, firm and radiant skin free of blemishes. What does the skin will look like after the procedure? Redness and swelling last from 1 to 3 days and are considered to be normal skin reaction. It is recommended to moisten the skin several times a day after the procedures. In a few days, you will see how the top layer of skin is resurfacing, renewing and becomes fresh pink in color. This will last about 3 days, later, somewhere between 5 and 10 day, the skin color will return back to normal. At that time, approximately on the day 10, the skin looks noticeably smoother. Are Fraxel re:Store Dual procedures painful? Before the procedure, local anesthesia is applied and, during the procedure, an integrated cooling system is additionally used in our clinic, which cools the epidermis at the right intensity before, during and after each laser pulse, so the discomfort is reduced to a minimum. During treatment, many patients feel a tingling or increased sensation of heat. After the procedure, the heat sensation lasts for a couple of hours. The procedure itself, depending on the area treated and the strength of pulses generated, lasts from 30 to 60 minutes. Two weeks of intensive moisturizing is necessary for the skin. After the procedure, trauma to the skin, agents irritating skin, sunbathing should be avoided and sunscreen with an SPF of 30 or higher filters should be used. Only lasers with established clinical safety and efficacy are approved by the FDA (Food and Drug Administration). Safety and quality of procedures performed by Fraxel laser has been proved by research: Fraxel lasers have had 20 favorable estimates by FDA, more than 100 scientific articles have been published about them. These procedures can only be performed by certified doctors who have accomplished a special training course. In what areas is the procedure performed? The procedure can be performed with any type of skin in all areas of the body: in all areas of the face, including the area around the eyes, neck, chest, arms, hands, thighs and other areas, and, because of a new version of the applicator, which is larger, it is convenient to perform the procedure on extensive areas of the body. How many procedures should be performed and how often? The number of procedures depends on the desirable result, the current state of the skin, lifestyle and other factors. Clinical studies show that the average treatment algorithm consists of 3-5 treatments with 2-4 week intervals. Each case is individual, therefore the expectations, number of procedures, frequency and other relevant issues should be discussed with a doctor during the consultation. Can other beauty treatment procedures be performed? Fraxel dual procedures are successfully combined with other skin care and beauty treatments: mesotherapy, biorevitalization, botulinum toxin and hyaluronic acid fillers, plazmolifting injections and other aesthetic procedures. 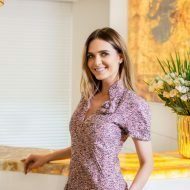 The doctor will discuss with you and help to choose what is best for you, as well as to combine the procedures, during the consultation, in the course of which you will decide on the best solution to solve your skin problems.